at Amazon, an official Roxio reseller. 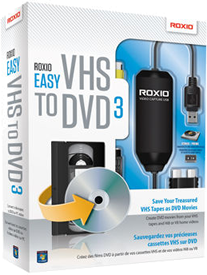 You currently won’t find a better price on Roxio Easy VHS to DVD 3 than at Amazon. There you can pick it up for as low as $37.90 with free ground shipping included. That’s a savings of 46% off the retail price (over $30.00 savings). Of course if you’re a Prime member you’ll get it shipped to you in two days or less. Be sure to also take a look at some of reviews as there are over 200 of them for Easy VHS to DVD 3. Prices can vary daily so don’t be surprised if the sale price will differ. Sale prices may vary among versions sold. with code at the Roxio Store. Use coupon code 20ROXIOSAVE to save 20% off your entire order at Roxio.com. This exclusive coupon came to us from Jeff R., one of our deal trackers and will work on any product sold storewide. Just keep in mind that if any of Roxio’s software products are already on a site-wide sale then the discount will not apply to the already lower price that’s listed. Only one coupon code can be used per order. Free shipping is also often included. Code valid through April 15, 2019. Upgrade discount for existing customers. This is by far the best deal that’s out there (and it’s ongoing) but it’s only available to those that already own a previous version of Easy VHS to DVD. If you do, then as a loyal customer you can puck up version 3 for just $19.99. That’s a whopping $50.00 off the list price. There’s no verification that’s done to prove that you own an older version but because this is only a software upgrade, you really won’t be able to use it unless you already have the capture hardware that was included in your previous purchase. Available for existing customers only. Find it on sale at Best Buy. If you don’t want to wait for the hardware to come in the mail from your online order, then you can just pick up a copy Easy VHS to DVD 3 at Best Buy (they seem to have it in stock most of the time). However, most likely it will not be discounted and listed for full retail price. That’s where their low price guarantee comes in. Just show them that one of Roxio’s authorized resellers (i.e. Amazon) or Roxio.com has it listed for less and they should price match it for you on the spot. Of course certain restrictions apply so talk to the store manager on duty for help and details. Now on sale at Costco. The one last place that we recommend you ordering a copy of Easy VHS to DVD is at Costco. Their sales price is not the lowest around however they have a very generous return policy that makes up for it. So if you’re not sure if Easy VHS to DVD 3 is the best solution for your video transferring and conversion needs, then at least you’ll have an easy way out if you decide to return it later on. As with all Costco purchases you will need to be a club member in order to buy in-store or off of Costco.com. Open to existing customers only. Is there a free trial version available? 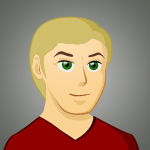 Unlike other software programs, because this is both a software and hardware package, there is no free trial available. However, if you’re on the edge and you are not sure if it’s worth buying Easy VHS to DVD 3, then be sure to pick it up from a store that has a generous return policy. The Roxio Store gives you a full 30 days from the date of purchase to return it. Costco gives you even more. Just be sure that whatever store you end of choosing that you’ll be able to send it back it you’re not satisfied with your purchase.